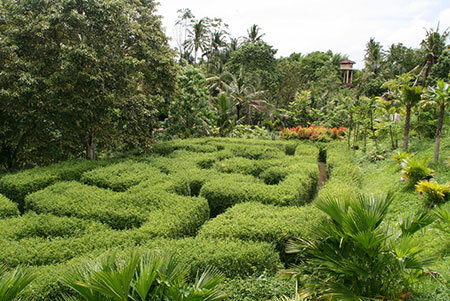 Discover the stories behind the many plants that make Bali green, from cacti to orchids, at the enchanting Ubud Botanical Gardens. The many gardens collectively sprawl across more than 6 hectares and feature a collection of local and exotic species and a range of Theme Gardens, including: a Great Fountain, Fern Garden, Chocolate Grove, Heliconia Hill, Fragrant Floors, Meditation Court, Bamboo Grove, Water Lily Pond and a Rain Forest observation trail. Guests can also enjoy getting lost in the maze of waterfalls, forests, and meadows, learn a thing or two at from the exhibits, wander through a butterfly-filled garden, and much, much more.